While the right artwork, sofa, and lighting choices will speak volumes in a living room, the real heart of the space is the coffee table. It's where you and your guests gather to catch up, unwind, and rest your drinks (hence the name), and it's a canvas for you to showcase your personal taste and interest. As such, styling it with care can dramatically improve the overall feng shui and aesthetic. Better yet, swapping out your coffee table décor—or simply restyling what you already have—is by far the most cost-effective way to breathe new life into your living room. 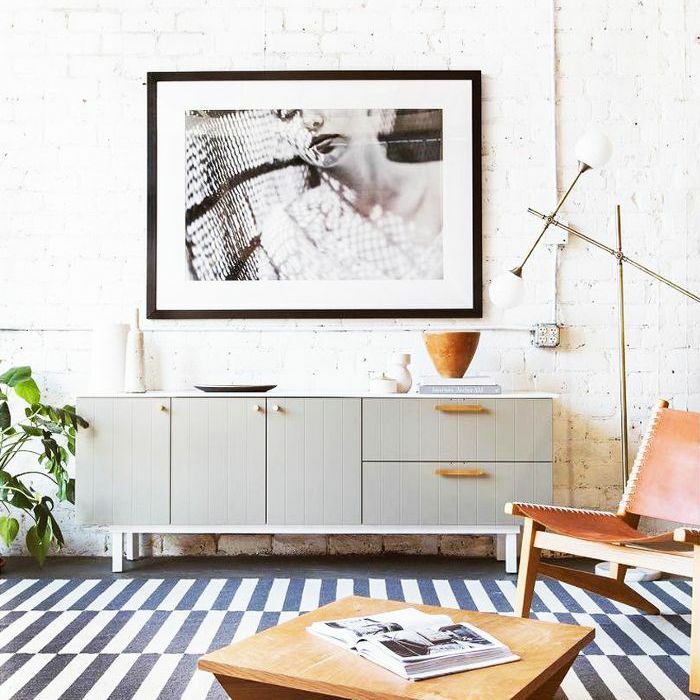 So whether you're looking for some inspiration from design-savvy tabletops or you're in the market for some new pieces, the eight coffee table décor ideas below will steer you in the right direction. This coffee table has all the essentials without feeling too busy or packed to the brim. There's a tray to keep barware organized, coffee table books for visual dimension and light reading, and florals to freshen things up. Notice how the pale sage green tray picks up on the statement-making armchair while the ceramic vase highlights the lighter cream-hued accents. Opt for a ceramic vase that feels both polished and unpretentious. 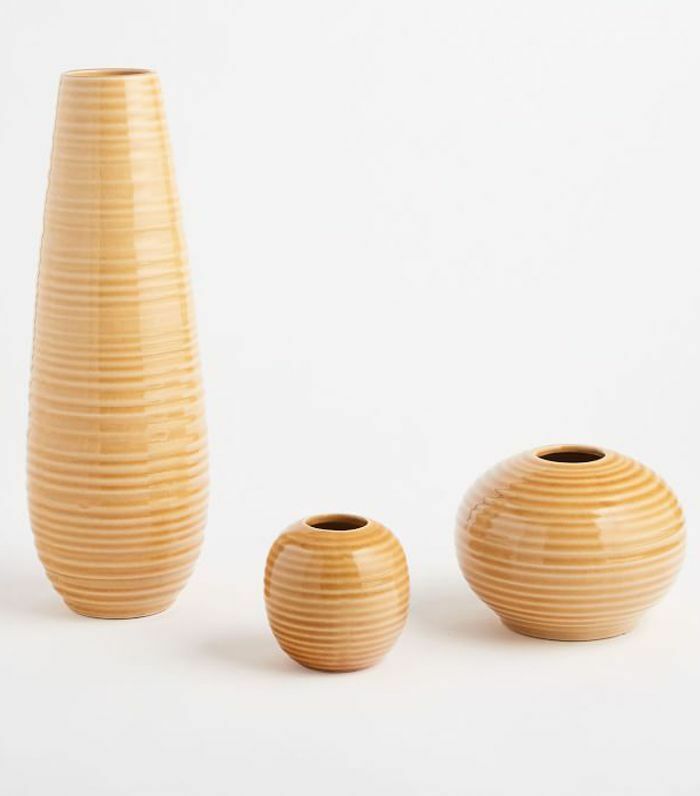 A collection featuring different shapes and sizes is a nice way to create cohesion too. If you have a two-tiered coffee table, consider putting the prettiest but smallest items on the top and then using the middle shelf as a storage space for your favorite coffee table books. In the living room above, the random placement of decorative objects lends itself to an easy, laid-back elegance. And last but not least, consider using your coffee table books to introduce a pop of color like the bubblegum pink one above. All it takes is a small touch to give your coffee table more flair. 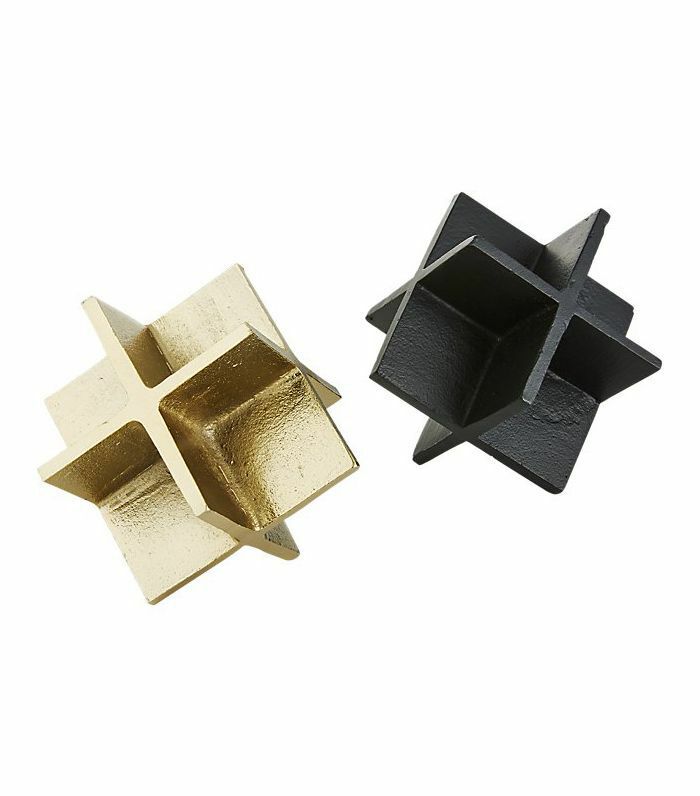 Opt for something tiny that's metallic and geometric. Or if you want to minimize clutter (and maximize space to rest your drinks), just stick to a well-curated collection of coffee table books without any extra décor. It looks super organized and clean without veering on boring or unfinished. The trick is to put your décor (like candles and flowers) on other surfaces throughout the room. 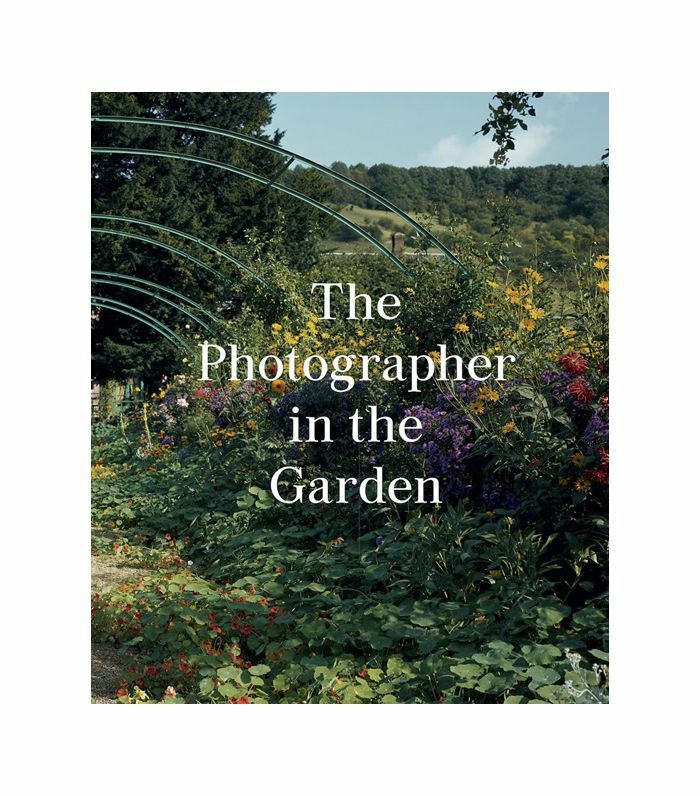 A coffee table book with beautiful visuals will double as artwork. We love how each item on the coffee table is sticking to a tight grayscale color scheme. Everything from the candle holder to the books and branches feels on-theme, making for a cohesive style moment that doesn't steal the show from the statement pieces throughout the space. When in doubt, remember that consistency is understated, sophisticated, and approachable. 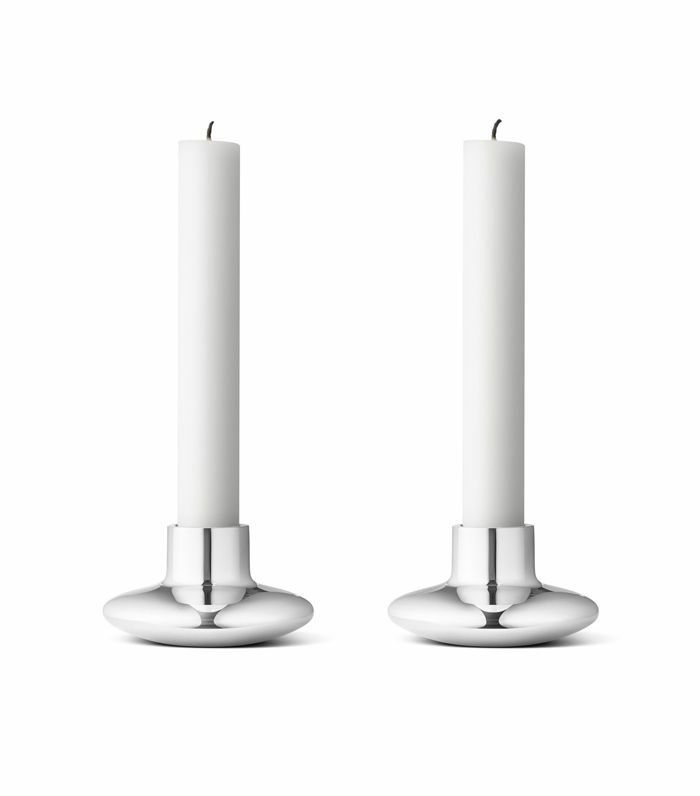 A chic candle holder will set the mood lighting in the living room while also making a style statement. One and done. We love how playful this living room is. From the curvy silhouettes of the furniture to the candy-colored throw pillows and fan motif in the carpet, it manages to feel all grown-up while also drawing upon childlike whimsy. One way to achieve this on the coffee table alone is by choosing bright books and knickknacks along with putting some games on display. 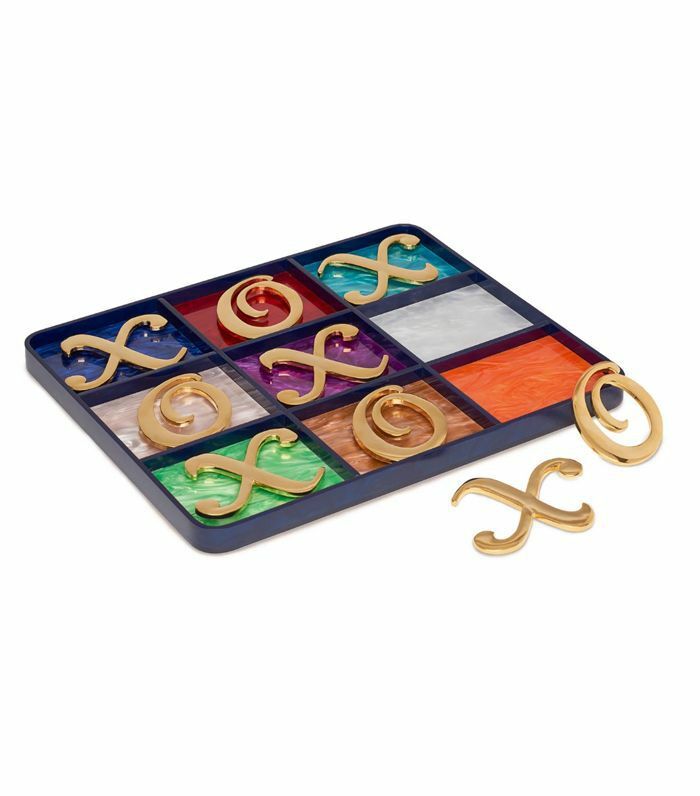 Tic-tac-toe is a fun, interactive way to keep the energy up. This one also happens to be a work of art. Though not overly symmetrical, this coffee table looks balanced. Since the table itself features a square motif, each item is sectioned off into four quadrants for a curated aesthetic. For a similar look, separate your coffee table books into two stacks and then arrange them to face opposite directions for extra intrigue. Nesting bowls and catch-alls are other good additions to the coffee table when you want to keep clutter to a minimum and bring in more dimension, and greenery is a must. 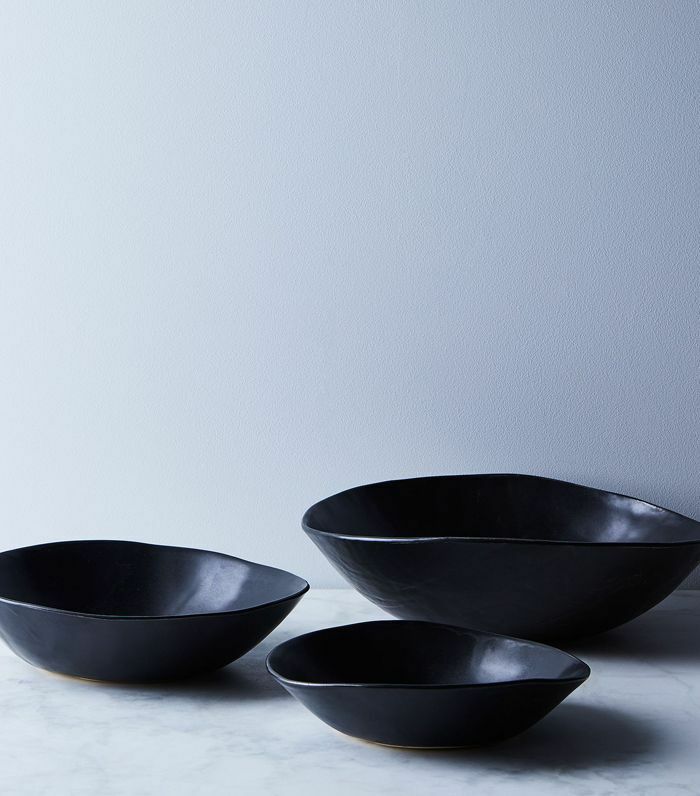 The organic shape of these bowls makes them ideal for stacking on the coffee table. Or you can put them to use during a dinner party and use them to serve salads and sides. We love how this coffee table situation is playing with proportion and scale (and introducing some beautiful florals) with only one piece. There's nothing wrong with keeping your coffee table totally bare. Just put your décor on display on the console table or bar cart, as seen in the living room above. 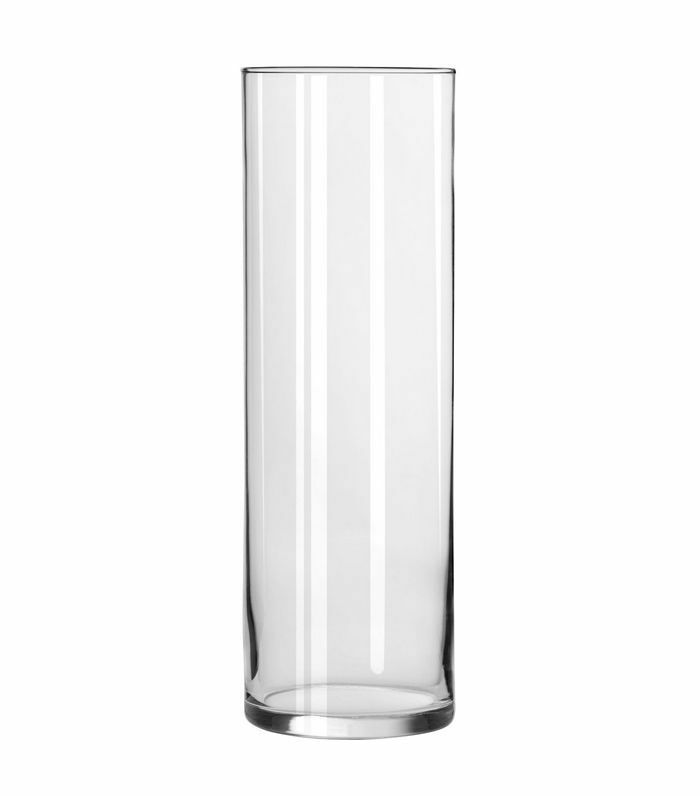 You can't go wrong with a tall cylindrical vase, especially when it's as well-priced as this one. A good tray is one of the most underrated coffee table essentials of all time, especially if your coffee table is actually an upholstered ottoman. Trays are the perfect representation of form meets function since they keep things organized, prevent spills, and create a nice contrast in style and material. 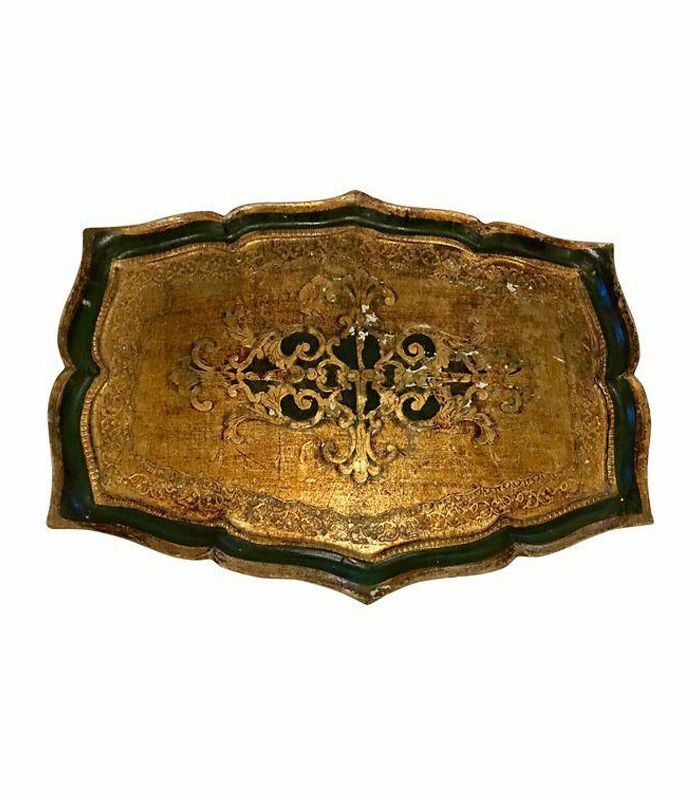 Intricate and full of character, use this tray to bring some antique flair to your space. Up next are more stylish ways to display and decorate trays throughout the house.